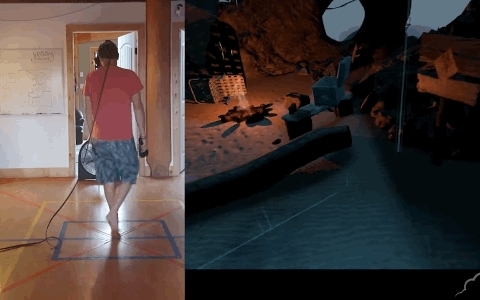 The maker of The Gallery virtual reality game is developing a software-based locomotion system with innovative ways to move around vast spaces in VR. It is touted as a solution that can keep people from feeling nauseous or from bumping into a wall and works with any sized play space. 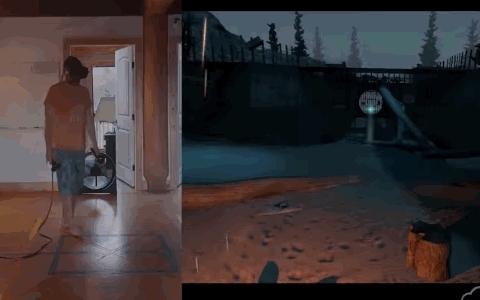 Canada-based Cloudhead Games calls the system “Blink” and it combines several different strategies in software to make its Myst-like game a more immersive experience. 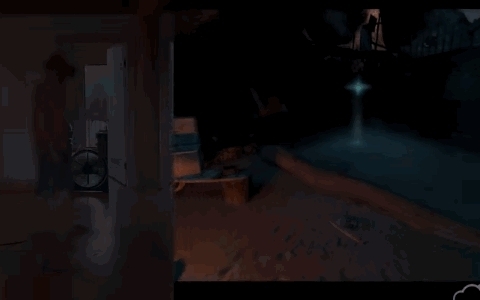 The first element of the system mimics a real-world blink for a near-instant teleport from one place to another inside VR. 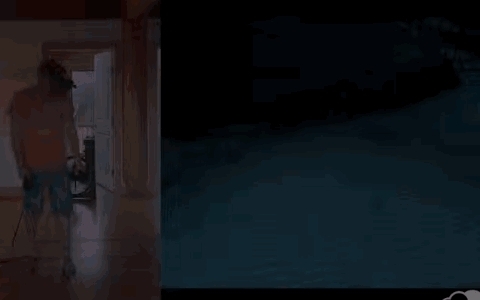 Cloudhead calls this a “cinematic blink” in which you look where you want to go and press a button to fade out the current location to black and then fade in at your new spot. Building up from this basic system The Gallery will account for the amount of time you press the same button — kind of like a double click on a mouse or a long press on a touchscreen — to access more robust forms of this teleportation. You can also more precisely manage the blink-teleport by taking your time to carefully select your destination before transporting. This mode seems ideal for people who have very small play spaces. Lastly, you can also project the edges of your play area and rotate it around, with glowing lines and figures showing what your new orientation will be as well as the edges of your tracked volume. So imagine you are in VR and there is an area of a beach with a rock wall next to it. You’d like to investigate the entire length of the wall for clues. 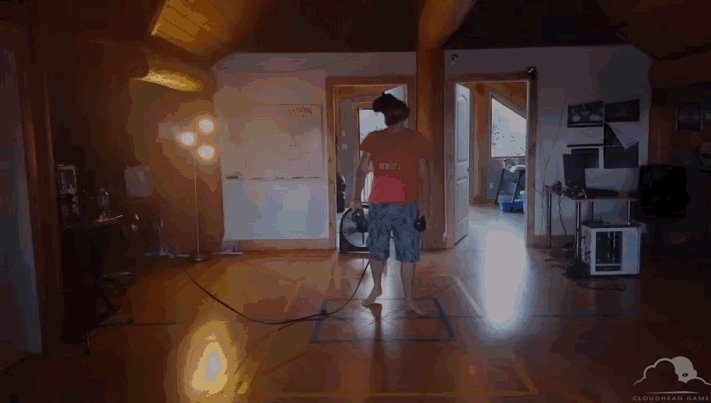 Before this system, you would likely use a gamepad controller’s sticks to move yourself back and forth along the rock wall in VR and make yourself sick in the process. With Blink, you can use the last method of teleportation to position the Vive’s play volume just once to encompass as much of the rock wall area you’d like to investigate as possible. A fraction of a second later and you’re walking back and forth along that rock wall, moving your head around to see if there are any interesting crevices. The trick, though, is to minimize the bounds of the box so it isn’t always in your face. The glowing box is outlined near the ground and it gets brighter as you approach the edge of the volume. “In the game, all you really have to worry about is grabbing things and using one button to locomote,” Unger said. The ability to dynamically scale the playspace is pretty huge, as it is something a number of developers are struggling with. For example, the Valve Aperture demo (the one with the Portal robots) has a charge port and a set of drawers that you have to reach to continue the demo. Problem is that for those with smaller rooms, those objects lie outside the space in which they had to play – meaning that they cannot continue the demo. Cloudhead’s elastic scaling system will help alleviate any concerns with that, at least for their game. Cloudhead is planning to release The Gallery with the HTC Vive and eventually port it to Rift and Morpheus. The game will be broken up into four chapters, the first of which is called “Call of the Starseed.” It will be revealed at PAX from Aug. 28 to 31. Cloudhead raised around $83,000 for the game from more than 1,500 backers back in April 2013.